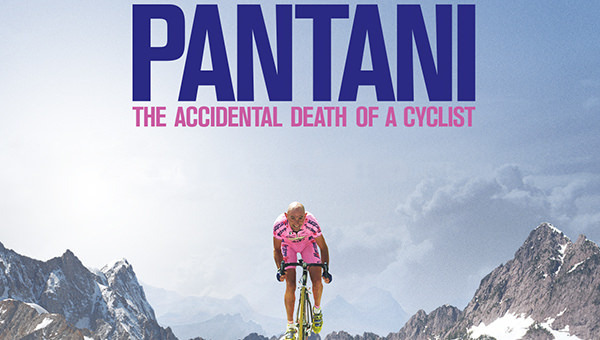 La Bicicletta and SpectiCast are proud to present the Canadian screening premiere of Pantani: The Accidental Death of a Cyclist, on Wednesday, April 8th, at 7pm. The film explores the startling truth behind one man's remarkable descent from being among the finest athletes on earth, to his tragic end in a sport riven by intrigue. We will serve popcorn, have padded chairs, an HD projector, and a cash bar with Steam Whistle beer for $3. Tickets available in advance only. In 1998 Marco Pantani, the most flamboyant and popular cyclist of his era, won both the Tour de France and Giro d'Italia - a titanic feat of physical and mental endurance that no rider has repeated since. He was a hero to millions - the savior of cycling following the doping scandals that threatened to destroy the sport. However, less than six years later, aged just 34, he died alone, in a cheap Italian hotel room. Combining scintillating race archive with contemporary news footage, stylized reconstructions, and interviews with Pantani's friends, family, colleagues, and rivals, including Sir Bradley Wiggins, Evgeni Berzin and Greg LeMond. The story tells of the greatest climber of his generation; man versus mountain, athlete versus the system, Marco Pantani versus himself. Date: Wednesday, April 8th, 6-9pm. Come early for beer; film starts 7pm sharp. Tickets: $12, available in advance only. Click Here to purchase now. Tickets available in advance only. Sponsored by Steam Whistle Brewing.